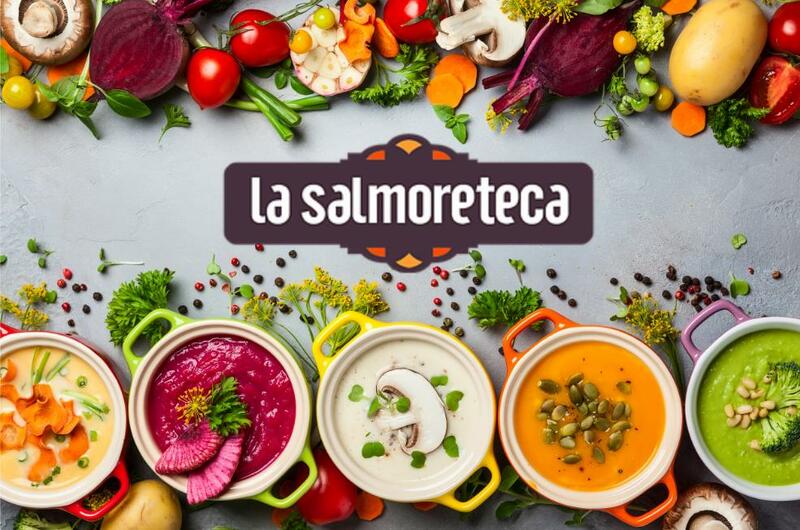 La Salmoreteca brings innovation to traditional Spanish cuisine thanks to the 700 new recipes and the use of High Pressure Processing (HPP). Their secret is to provide a fresh product with longer shelf-life to Spanish homes. “Gazpacho” and ”Salmorejo” are cold soups regularly consumed in the summer of several Spanish regions. The main ingredients are fresh vegetables that provide many health benefits, beyond helping to withstand the summer heat. 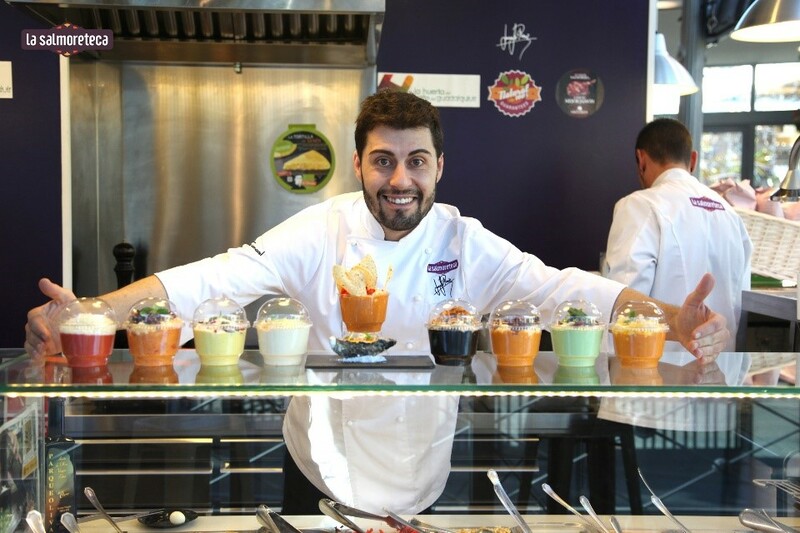 La Salmoreteca and chef Juanjo Ruiz from Córdoba have managed to reinvent traditional Spanish cuisine in Cordoba. Thus, offering a range of healthy products with good flavor and healthy benefits. Corn, peanuts, beetroot, squid ink and yogurt are some of the ingredients that they use on more than 700 new recipes. Juanjo’s team offer new flavors and textures that undoubtedly reveal a new culinary universe. As the Chef himself declared in radio channel cadena Ser, “the challenge has been to ensure that the product arrives in perfect conditions of taste and preservation to any home in Spain and in the shortest time as possible”. This goal is achieve thanks to HPP technology in association with Hiperbaric. Due to their high content in vitamins C, A and E, carotenoids, fiber and other antioxidant compounds, these meals provide a lot of health benefits. However, these advantages are quickly degraded and should be consumed in less than 2-3 days if they are not treated with HPP. Certainly, gazpachos and salmorejos with longer shelf-life periods do exist. Although they have been processed by heat treatments that negatively affect these molecules and reduce the freshness of the final product. Cold pasteurization or High Pressure Processing (HPP), is a treatment that subjects the food to a uniform hydrostatic pressure of 6,000 bar. In consequence inactivating bacteria that cause deterioration. HPP preserves the flavor, aroma and nutritional properties of the fresh products. In addition, this process extends more than a month the shelf-life of the product without the need of chemical additives. 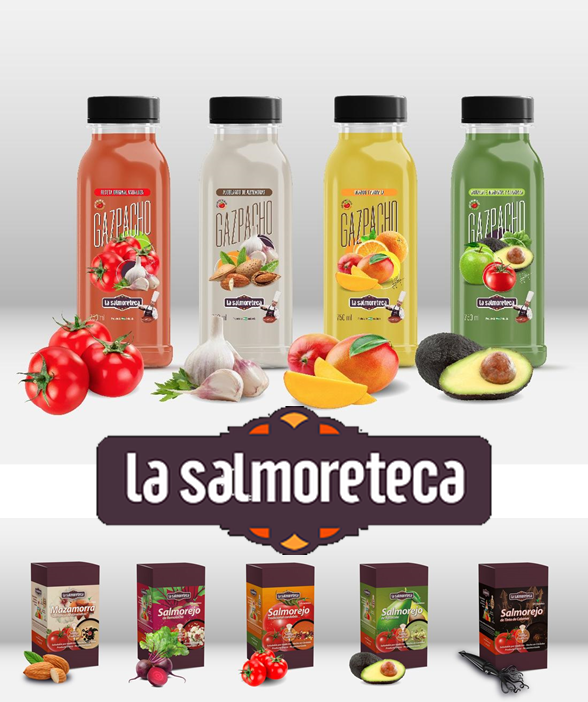 La Salmoreteca is present in online markets, with its own store and global traders such as Amazon, Makro or Deza. They not only have innovative recipes, but also use High Pressure Processing (HPP) to extend shelf-life and preserve its freshness. La Salmoreteca, knows how to take advantage of all the benefits of high pressure processing (HPP). They do it to meet the expectations of the costumers that demand healthy and fresh products with a long shelf-life. Nowadays, La Salmoreteca uses in-pack HPP machines, model that processes the product already packed in its final container. However, this kind of soups and ready-to-eat purees are the ideal products to be processed by the new HPP model machine, the Hiperbaric Bulk 525. This modality processes directly the liquids that will be packaged immediately after the HPP treatment in sterile conditions. This leads to the possibility of employing all kind of materials in the final pack, simplifying the process. To know more about high pressure processing and its advantages in comparison to other preservation treatments in beverages sector, do not hesitate to contact Hiperbaric and we will be pleased to help you.